And the types of germs and fungi say a lot about you -- more than you realize. A recent analysis of dust samples collected from homes across the United States has revealed an alarming amount of fungi and bacteria species. Still, Noah Fierer, the microbial ecologist at University of Colorado Boulder behind the study, said that there is no reason to be “paranoid” about the findings, as most organisms are “completely innocuous,” according to a Los Angeles Times report. In fact, many organisms are beneficial, according to the paper, which was published in the Proceedings of the Royal Society B. Fierer and his colleagues also found that these organisms can reveal a lot about the people. Basically, the composition of bacteria in a home community will change depending on if there is a dog or a cat, or if therei s more men or women. It can also say a lot about the climate or geographical region of that person. The authors wrote that people who want to change the type of fungi that people are exposed to in the home, basically you’d need to move to a different area, and if you want to change your bacterial exposures, you will have to adjust who or what you live with. The research team used a website called Your Wild Life to reach out to so-called “citizen scientists” across the country. Volunteers that used a cotton-tipped swab to swipe above the door trim of an interior and exterior door — a good place to swab because it is rarely cleaned and people rarely touch it. By sampling both the interior and exterior, scientists could see the difference in microbial populations both inside and outside. Fungi mostly comes from outside and likely gets in the home from soil particles or airborne spores. 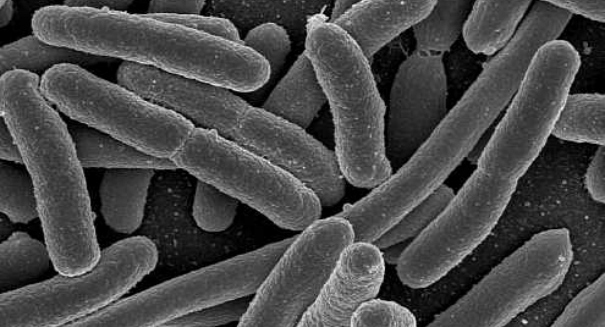 Bacteria is influenced more by animals and humans.